How delightful it was to receive this note from a thankful parent following a very successful Freshman Move-In Day on Aug. 13. 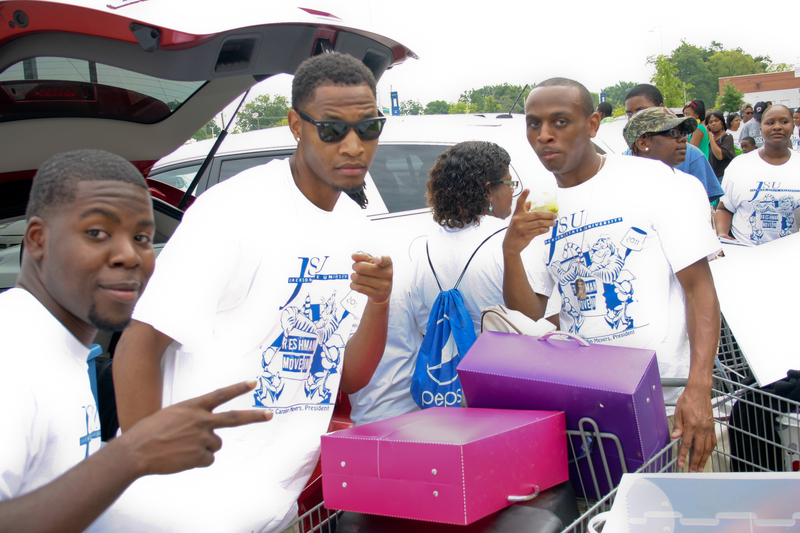 We had hundreds of JSU students, faculty, staff and alumni volunteer to help the newest Jacksonians and their parents move into the residence halls. It is good to know their hard work did not go without notice. I would like to personally thank the department that planned the school and community service project to help new students move in. As a parent, I could not have asked for a better set-up. These volunteers made the day so much smoother for us. My daughter is on the fifth floor of the Honors Dorm, and I promise you I don’t know what I would have done without all of the hospitality the students showed us on that day. When we tried to take things out of the car and help, they said, “No Ma’am, we will do it.” They moved everything, and I mean we had a lot. You know they had been working hard. They were wiping sweat and drinking water, but the good thing about it was that they never complained. They probably remembered me saying, “I’m not used to this kind of service.” They didn’t do this at my alma mater back in 1983 and they still aren’t doing it in 2011. I am going to take this idea back to them and let them know that something good is going on at Jackson State University, even though JSU may be our rival. If I could offer a word of encouragement to the Jackson State family, I’d simply say, “Keep up the good work and be blessed.” It is not always about giving money. We need to give more of ourselves, our time and our service. How much more can we ask for? Hats off to you Jacksonians. Thank you all so much for being so hospitable to the Freshman Class of 2011. The one of the best gifts you can give others is your service. I love to see and hear of other being a servant. That is our job to service others and to love them. Way to go JSU Tigers!!!! !